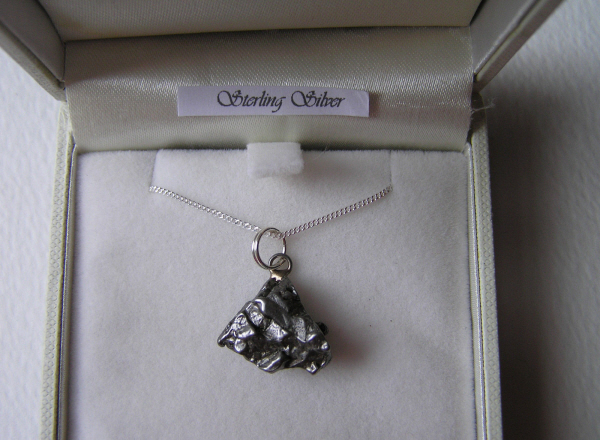 This is a gorgeous little meteorite necklace is made with a whole iron meteorite fragment. 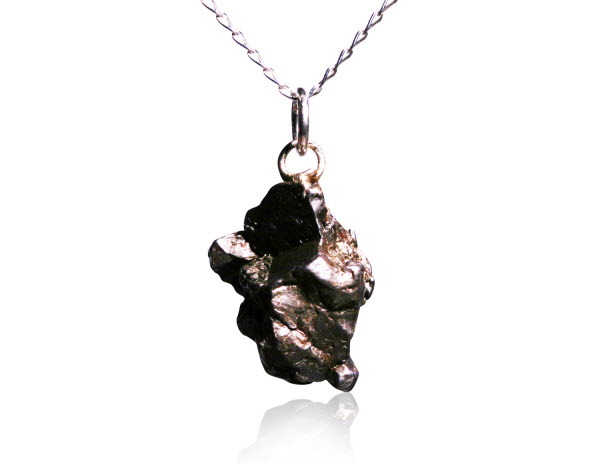 The meteorite is from the famous Campo Del Cielo fall - which was found in Argentina in the year 1576 - though is thought to have actually fallen many thousands of years earlier. 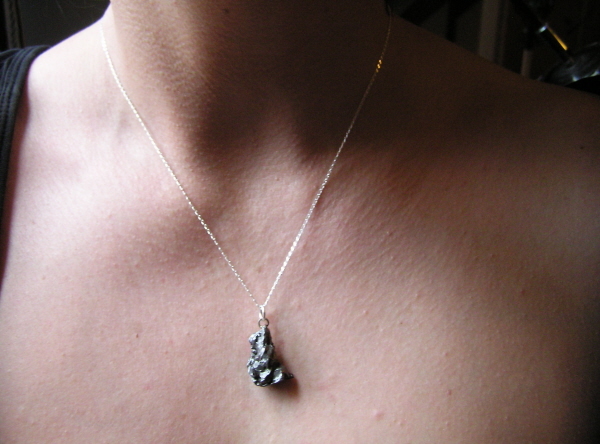 The meteorite has a sturdy loop soldered on and is strung from an 18 inch sterling silver curb chain. You will also receive a stunning,signed certificate of authenticity.